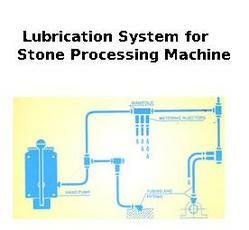 It is processing stones and also providing. 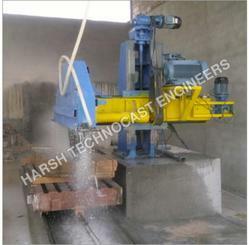 - Welded lathe bed of profiled steel, stabilizing treated under high temperature. Backed by the years of experience and vast knowledge, we are engaged in manufacturing and supplying a wide assortment of Stone Processing Machinery in Tandur, Telangana, India. These are made out with optimum grade raw material and advanced techniques under the strict guidance of trained professionals as per the set industry standards. We provide this range of product a very feasible prices. Our entire range is made to go through a string of quality regulatory processes to make sure they are according to industry standards. We can be trusted for delivering the orders in an efficient manner and that too within the given time frame. Latest Technology in Granite Multi Cutter .Our Multi Cutter Supplies In Granite Unite. Complicative Lowest Price.Lowest Manintenes Our Machine.Liner Guaid Way With Turquoise Life Of Multi Cutter.Our Multi Cutter Production Per Month On 50 To 60 Thousand Square Feet.